As the parent of a respawn who is also old enough to drive, this week’s latest Halo-related birthdays are particularly pertinent. Just yesterday, we celebrated two milestones – Halo: Combat Evolved, and by extension, the Xbox itself, celebrated its sweet sixteen. It’s kinda ridiculous when you think about it. I remember quite vividly my roommate at the time picking up a new Xbox and us playing the Halo demo over and over again, prompting me to immediately go out and pick up on of my own. Needless to say, this Grim’s gaming career would be forever altered. On Twitter, we had lots of folks respond with some of their favorite memories of the OG Halo adventure – here were just a few of your awesome responses. Of course, it wasn’t just Halo: CE and the console itself in the spotlight, as Xbox Live also celebrated a birthday – fifteen to be exact. It seems all at once forever ago, and yet only yesterday that Xbox Live burst onto the scene, changing the online gaming landscape forever, a legacy that would be galvanized by the release of Halo 2 just a couple years later. This week also offered some awesome additions from our consumer products team, including a brand-new book and a rad new toymation video from Mega Construx. Let’s take a look-see! This week also marked the release of an awesome new toymation feature from our friends at Mega Construx, starring Series 5 of their Halo Heroes figure line. I love these things and find myself watching them over and over (all while personally lamenting having no Mega Halo video game to play). If you haven’t seen it yet, check it out now! Your humble Grim also penned a companion blog piece to go along with the video, giving fans a deeper dive into some of the featured figures. Give it a read right HERE. Playlist pandemonium – This week saw two new playlists come into the Halo 5 matchmaking rotation. On the Social side, we’ve got Anniversary Throwback, which lets you run wild Halo 5-style across six awesome community recreations of classic Halo: CE playspaces. 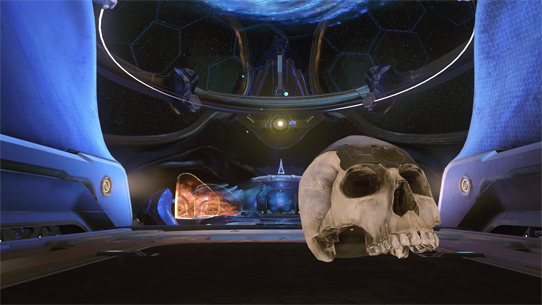 Over in Ranked, we’ve kicked off the opening salvo of testing for the HaloWC Oddball Preview, giving folks the chance to help give feedback on new settings. Jump in, play a bunch, and then hop over to the official feedback thread to offer your politely-worded and well-thought-out sentiments. 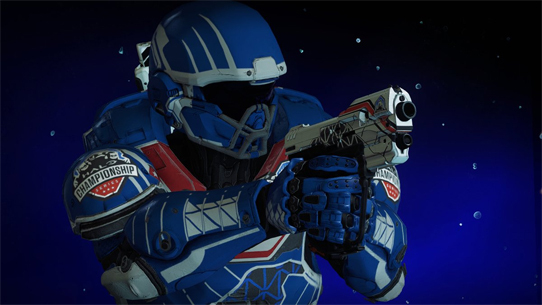 Also, check out this post from 343's Josh Menke for a deeper dive for some extra context behind Gunfighter/BR starts before you unleash your furious fingers across the keyboard. 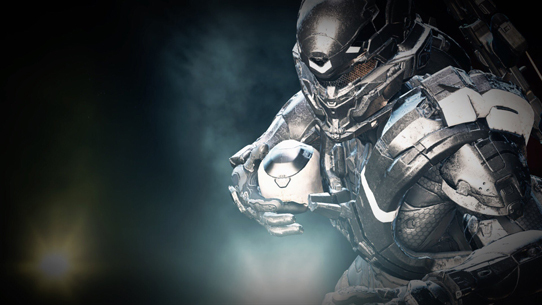 Insert Double Pun Here – Speaking of the aforementioned playlists, both Anniversary Throwback and HaloWC Oddball Preview will be double XP this weekend, for those looking to chase that 152 grind. Tanks-giving – Next week, Nov 23, players who log in to Halo 5 (or sign in to their HaloWaypoint.com account) will be gifted the Thanks Given emblem; if you don’t already have it, make sure you gobble it up next Thursday! We kick off today’s Community Spotlight with a couple of pro pieces of prose from prominent lore-loving community members. The first is by Decepticon Cobra who gives a valuable look at some of his favorite aspects of the Kilo-5 trilogy of Halo books – particularly interesting as DC is self-admittingly “not a fan” of the series. It’s always great to see folks who can take deeper looks into things to find a variety of sides to consider – great work, Cobra! Next up is Spotlight staple haruspis, who is celebrating 16 years of Halo with 16 awesome and super obscure lore facts. Care to learn more about Del Rio’s missing magnificent mustache, or the Forerunners’ curious love of hats? Look no further! Earlier this update, we showcased the newest toymation feature from Mega Construx. But did you also know that Mega has a really cool stop motion builder app that you can download and use to make your very own animated adventures? Well @jasefat sure did, and shared with us a cinematic masterpiece that explores the very depths of Jiralhanae arithmetic. Watch it here before it hits the next Sundance film festival. Continuing on the epic video train, Master Chef made a really slick video that focuses on Arbiter Thel ‘Vadam’s redemption story. I absolutely loved it, check it out! Cosplay extraordinaire danielledebs was wondering when her time would come to be featured on these pages… well wonder no more! Seriously though, her stuff is super rad, and you should definitely check it out. And now, a selection of awesome screenshots from the community. We put out the call earlier in the week for Thanksgiving-themed snapshots, and we definitely saw some sweet ones! Also, there are a few that are just plain inclusion-worthy on account of coolness. Enjoy! Well that about wraps up today’s edition, short and sweet. Next week we won’t have a standard Community Update as we’ll be celebrating Thanksgiving with our loved ones, and hope all of you will get to do the same! Whether you celebrate the holiday in your region or not, try and take the time to reflect on positive people, places, and parts of your life – and know that we here back at the studio are genuinely grateful for each and every one of you. Until next time… Live well, play Halo, and always ask for extra gravy. We’ve had new game updates for both Halo 5 and Halo Wars 2, a couple of fun Livestreams, oh, and the most powerful console ever built hit the shelves this past Tuesday. You know, all normal ho-hum stuff. Of course, since you’re already here, we might as well recap some of the details, right? Let’s begin.